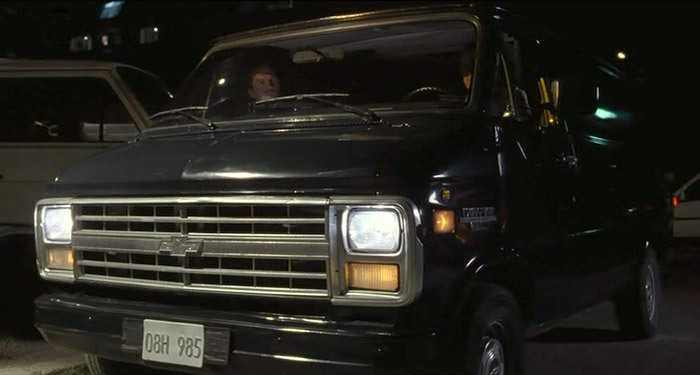 IMCDb.org: 1985 Chevrolet Chevy Van [G-20] in "Control, 2004"
I like how they put black tape over the original license plate..
Looks almost like it's that Dark Blue the US Air Force uses,too??? Thanks,couldn't really tell,I could tell the bumper was Black though? hiergehts wrote I like how they put black tape over the original license plate.. I think it's a plate holder of the type often seen on German cars, with the dealer's name at the bottom. Because the frame has lots of holes in it.